NH03 External Hard Drive http://www.adata.com.tw/? Disclaimer : GIGABYTE is not responsible for technical issues that are caused by the above listed products, please contact the device manufacturer for technical support. 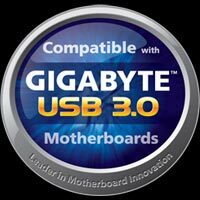 GIGABYTE welcomes USB 3.0 device partners to work together in developing the USB 3.0 ecosystem. 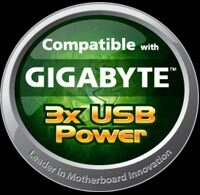 Fellow USB 3.0 device vendors are encouraged to contact their local GIGABYTE representative or the email address below for compatibility and functionality testing.